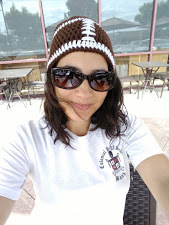 Welcome to the 9th Super Crafty Sunday Link Up! Happy October to All! 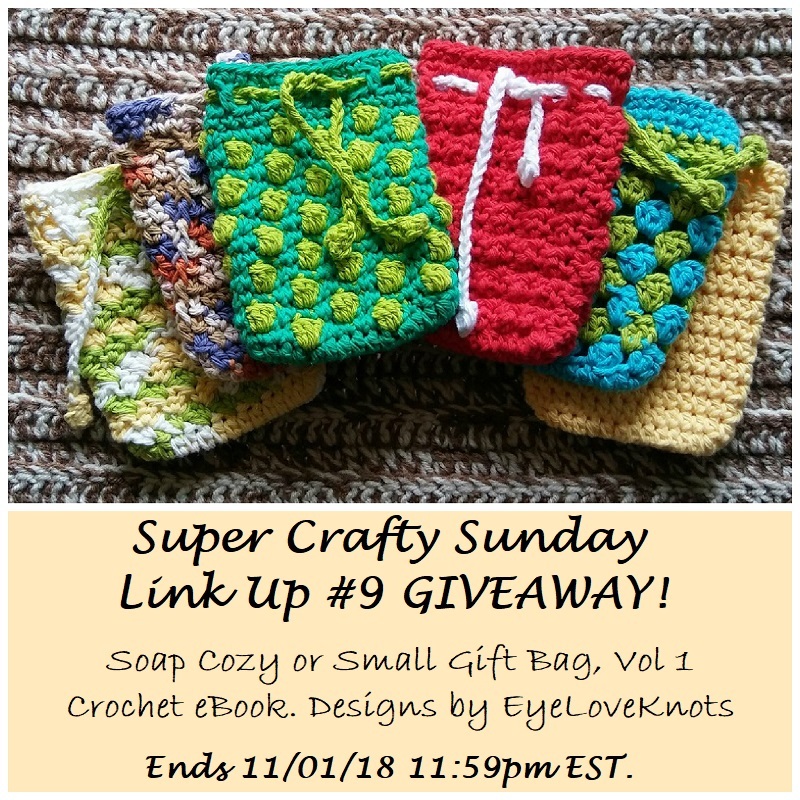 This month we have THREE (not two) awesome projects to feature (as chosen by YOU), and my new Soap Cozy or Small Gift Bag eBook as the giveaway! Please keep in mind that when Helena and I sponsor giveaways, it is with the money out of our own pockets (including shipping worldwide). As bloggers, we earn an income based on the number of views to our blogs, and commissions earned from purchases by you using our special affiliate links. Shares of this party, and visits to our other posts and pages are very appreciated! Thanks for all your support! 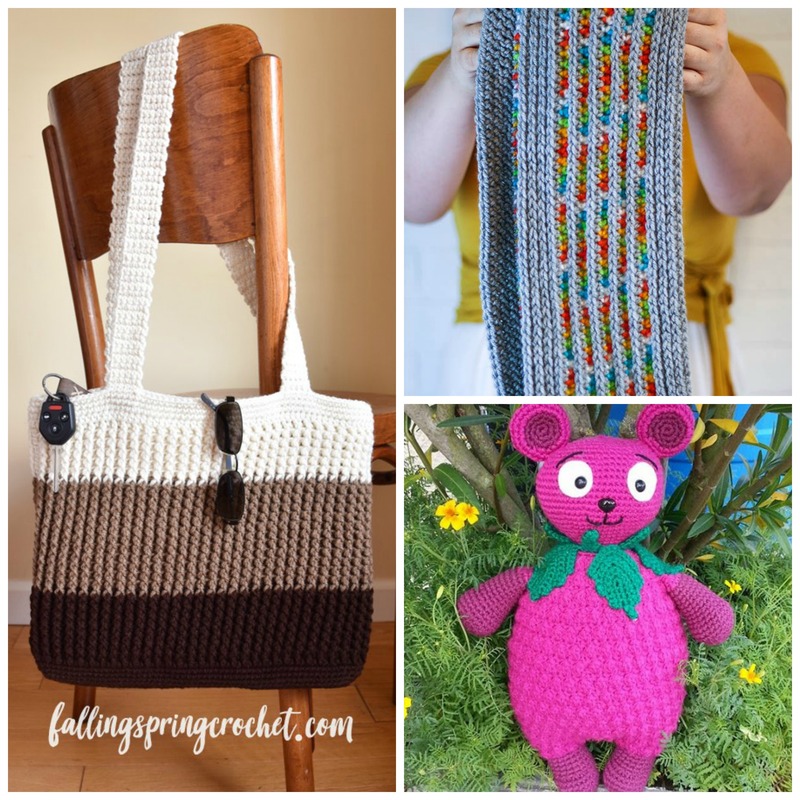 Left: Easy Tote Bag from Falling Spring Crochet (Free Crochet Pattern). Ribbed crochet produces such a beautiful fabric, and a fun texture. Worked in a yarn like Red Heart Super Saver (like Allyson used), this makes a really nice, durable bag. I do recommend sewing in a lining, at least to your strap, to help avoid a whole lot of stretching. Top Right: Rainbows and Rain Clouds Infinity Scarf from Winding Road Crochet (Free Crochet Pattern). This scarf also has some beautiful texture in between the fun colors. I love the idea of the “rainbows and rain clouds” – I can totally see it! I can’t say I would have bought a yarn like the Rainbow Classic that Lindsey used, but the impulse buy ended up in a really neat scarf! Now, I NEED some of that yarn! 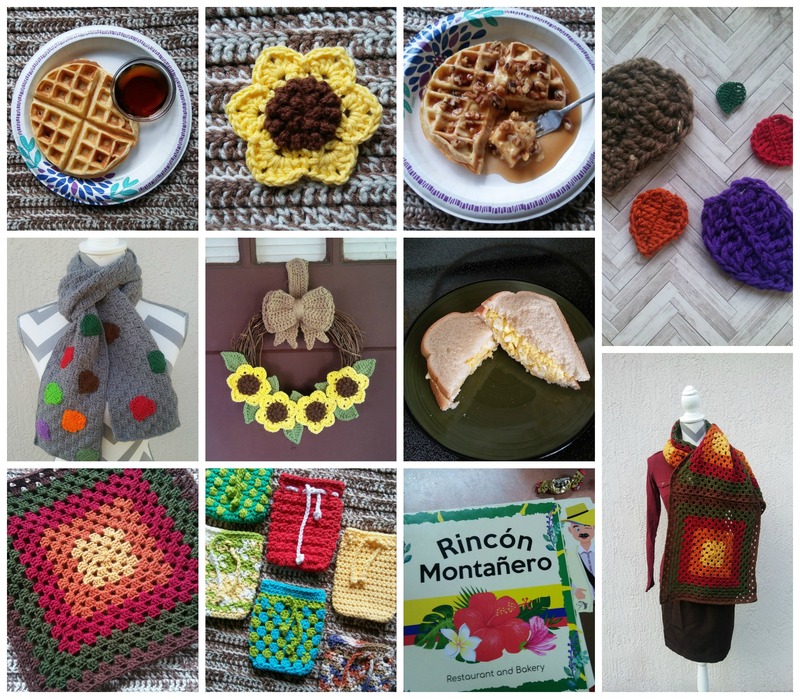 Bottom Right: Raspbeary from Hakelfiber (Free Crochet Pattern). This little bear is super cute! I love the pink coloring paired with the berry idea. The texture really adds to this little bear, and is a great detail, as is the leafy necklace. The pattern is written a little different than you may be used it, but props to Sandra for this post – English is not her best language, but she has come so far! This Month’s Giveaway is sponsored by me! 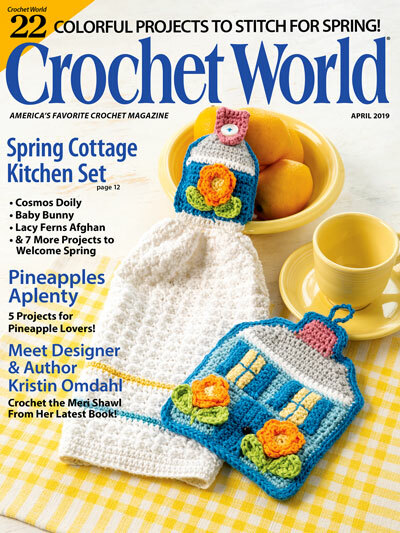 One winner will receive my new crochet eBook! This is my Soap Cozy or Small Gift Bag Vol 1 released last month. 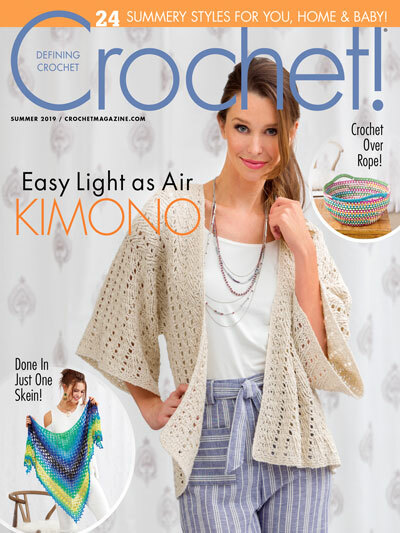 This eBook is a 17 page PDF with six crochet patterns included – find out more in my post linked just above, or any of the shop listings below. eBook will be gifted through Ravelry. For anyone who can’t wait for the giveaway, you can get this eBook 10% off this month (ends October 31st). Where: on Ravelry using Code 10OFFCOZYVOL1; on Etsy using Code 10OFFCOZYVOL1, on Craftsy no code needed. Must be 18 years or older to enter. Open to all countries. Void where prohibited. Winner has 48 hours to respond to email notification, or another winner will be chosen. Alexandra (that’s me!) of EyeLoveKnots is responsible for prize fulfillment. 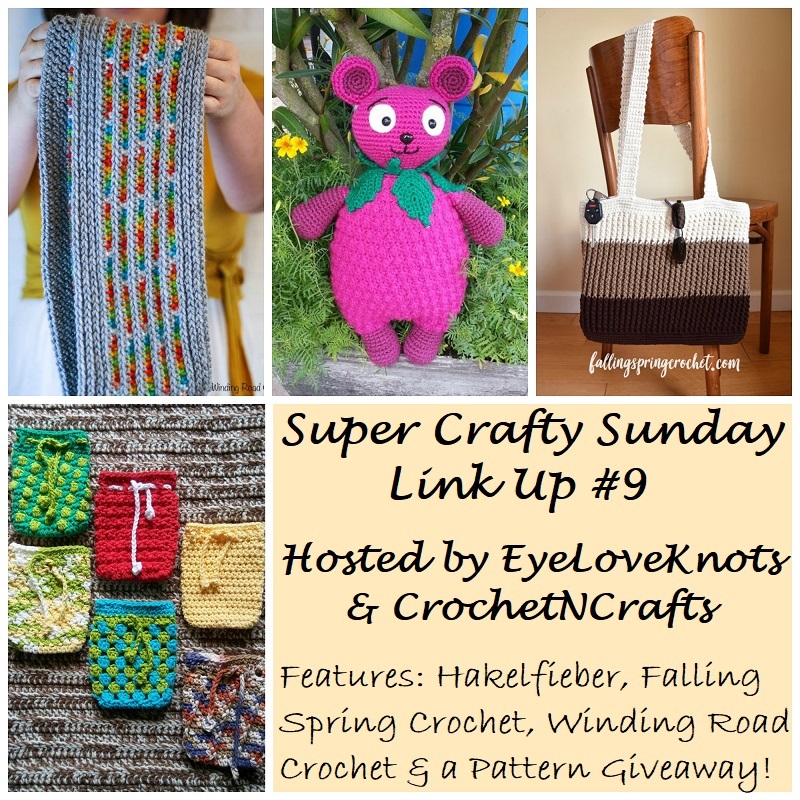 The Super Crafty Sunday Link Up is hosted by EyeLoveKnots, and CrochetN’Crafts, so when you link up to one of the blogs, it will show up on both! Double the exposure, woo hoo! It will go live on the first Sunday of the month, and end the Thursday prior to the next month’s party starting. Post times will vary, but you will be able to link up from midnight EST through midnight EST on the indicated dates – check the top of the Rafflecopter for more details. Please share projects, recipes, and other posts that are family friends, and not spammy. Feel free to reshare previously shared links, and links to giveaways and other link ups. Please make sure to link to a specific post, and not your blogs home page. If you don’t have a blog, you can still share with us several ways. You can create a free Flickr account (powered by Yahoo), upload your photos there, and share the link with us, or you can share links from Instagram, Twitter, and Pinterest – just make sure it’s your own work please. Link ups CANNOT be to Etsy/Crafty listings or Ravelry pages where patterns are sold, but you can share a link that is directed to it like from Pinterest. You CAN share Ravelry pages of finished projects. Sorry for the inconvenience! That’s per InLinkz guidelines. Thanks! You are voluntarily submitted your photos, links and email address (if desired) through InLinkz to link up with us, and by linking up, you give us permission to feature your item on either of our blogs and/or social media outlets. Features may be chosen at the discretion of each host. Thank you for you comment and invitation. Thanks for coming by, Teresa! Always love seeing what you are up to! Unfortunately, no. I had an idea of hosting my own link up for a loonng time, but when it came time to do it – I hosted two separate ones, and cohosted one during my time here, and when it came down to it, it was very hard to get makers to participate, and it was a lot of work to put together. I decided to call it quits on hosting my own link, and just have fun participating in others (which I have a link to all the ones I go to on a weekly basis up at the top). I do still host a monthly giveaway though – this month is a printable craft calendar. Thanks so much for stopping by!